The Eli Roth produced Hemlock Grove comes back for a second season on Netflix this July 11 and the first trailer just dropped. Hemlock Grove was hardly to the level of some of Netflix's other shows, but it was enjoyable enough if you considered it a CW show without the broadcast censorship. 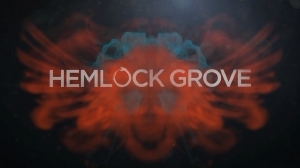 The ten-episode second season of Hemlock Grove will focus on the once sleepy Pennsylvania town coming to terms with the terror that it has seen and will continue to endure as its citizensâ€™ monstrous secrets have been revealed. New to the cast is Madeline Brewer who plays Miranda Cates. Looking to start anew, Miranda arrives in Hemlock Grove unaware of the trauma experienced by the townspeople and of the profound effect she has had on returning characters Roman (Skarsgard) and Peter (Liboiron).